They say beauty is only skin deep. 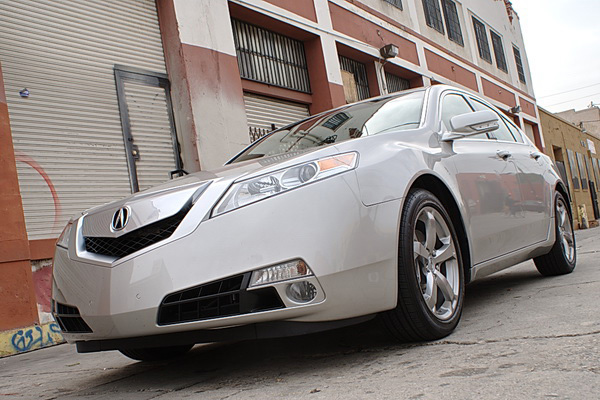 For the redesigned 2009 Acura TL you have to look under the skin to find its true beauty. With a lot of hype surrounding the new motor and suspension setup, I figured a true test for the new TL would be a long road trip. Like a blue-wing teal flying south for the winter, I decided to drive 400 miles from the San Francisco bay area to Los Angeles in search of warmer climate. 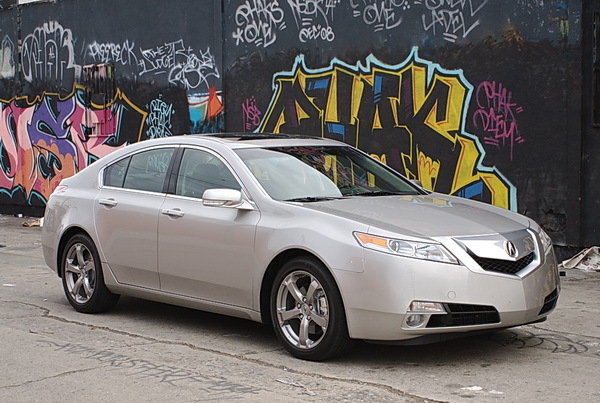 Many of you may have already noticed that Acura’s new models share a similar front-end design — a prominent power plenum grille and the new TL is no exception. As a result, the emperor’s new clothes has been received with mixed feelings, but the drivetrain, interior design, and luxury features are definite winners. 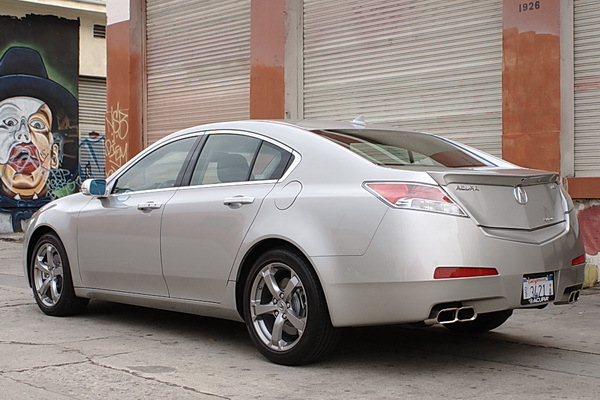 Under the hood, the ’09 TL gets a new powerplant in the form of a newly available 3.7-liter V-6, based on the unit in the RL, with VTEC variable timing on the intake and exhaust valves that kicks out 305 horsepower at 6300 rpm and 275 pound-feet of torque at 5000 rpm. The 3.7-liter engine is the core of a new SH-AWD model, with a variant of the torque-vectoring, yaw-controlling Super-Handling All-Wheel-Drive. As a result, torque steer becomes a dim memory of the past and minimal understeer doesn’t detract from the TL’s excellent handling on the open road. This is a luxury vehicle and the TL accoutrements are numerous. In addition to Bluetooth® handsfree operation for your phone, there is available Bluetooth® audio streaming if you want to access the tunes stored on your smart phone. My primary collection of music is on an iPod and full iPod integration was one of my favorite features during my trip to L.A. this weekend. Full access to my playlists, artist, albums, etc. is accessible through the multi-media interface. The steering wheel has a full set of controls, so my hands never have to leave the steering wheel when driving. Warm and comfortable seats, smooth and quiet ride, dual-zone climate controls, nav-system, and a premium audio system made the long drive to SoCal much more enjoyable. 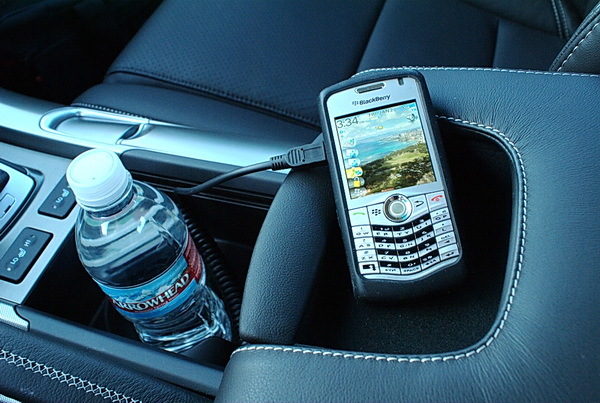 The climate control system is even linked to the GPS system. The purpose is to maintain the occupant’s comfort level by tracking the sun’s position and intensity. The GPS monitors the sun’s location relative to the car’s position while a sensor on the dash measures the sun’s intensity. Knowing the sun’s position and strength enables the system to more effectively keep each side of the cabin at its designated temperature. So far the TL has been a real winner on this road trip. I couldn’t ask for a better vehicle for long drives. Fuel economy isn’t too bad for a 305 hp car. The TL got 24.5 mpg between San Francisco and Los Angeles, which is pretty close to the EPA highway rating of 25 mpg. Holly recorded 19 mpg overall after her short-term test of 3 days. We’ll see if the TL is just as enjoyable on the return leg back to NorCal. 2011 Dodge Avenger Mainstreet Review – More than just a rental car?